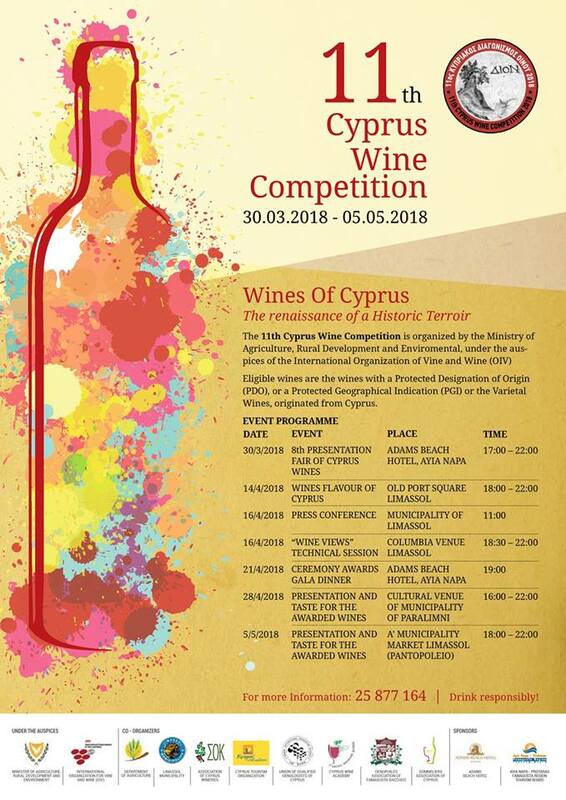 For an extended month and with a meritorious protagonism for the Paralimni/Ayia Napa region where the 11th Cyprus Wine Competition is programmed to be celebrated with a evening event at the venue of Adams Hotel on the 21st of April, 2018. 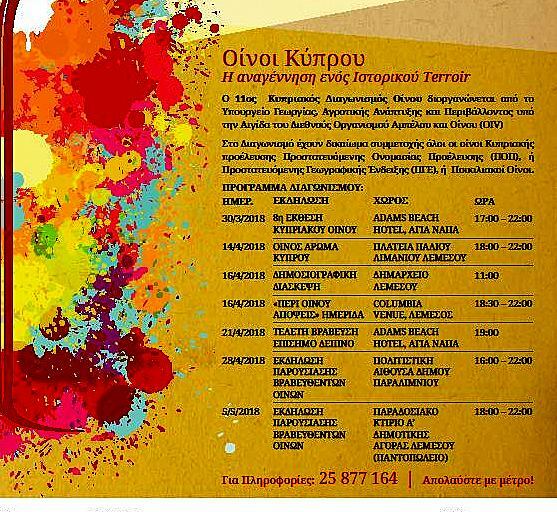 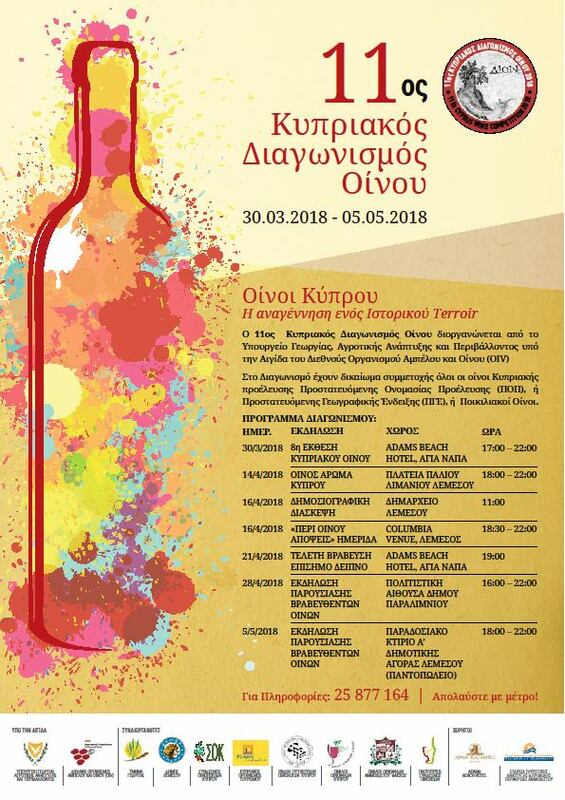 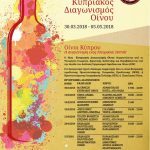 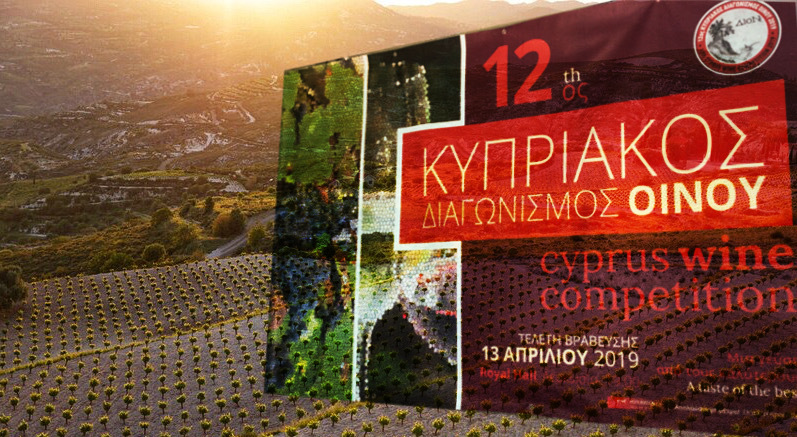 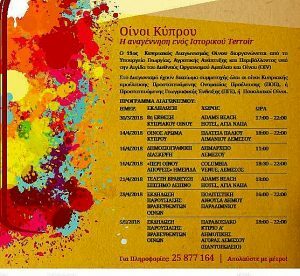 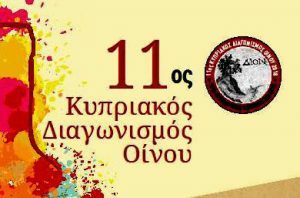 The highlight of the annual rendez-vous for quality wines in Cyprus year will also bring the opportunity for the principal associations of of winelovers to celebrate event both in Limassol and Paralimni where awarded wines will be tasted. 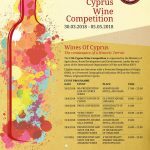 A short presentation on the Cyprus Vines & Wine production, Wine Marketing and export followed by a demonstration of the art of Wine Tasting and food matching. 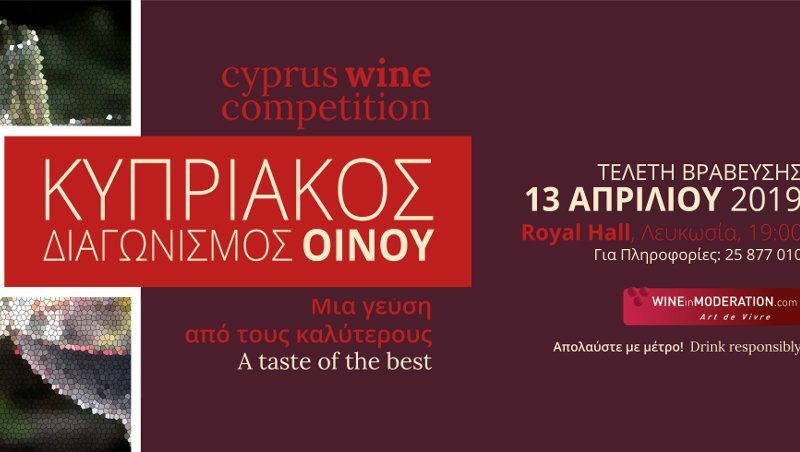 A reception will follow at the lobby with Wine & Cheese stations of Cypriot wineries including Constantinou Winery, Vasilikon Winery, Kamanterena (SODAP) Winery, and the special wines of the Anama Concept.